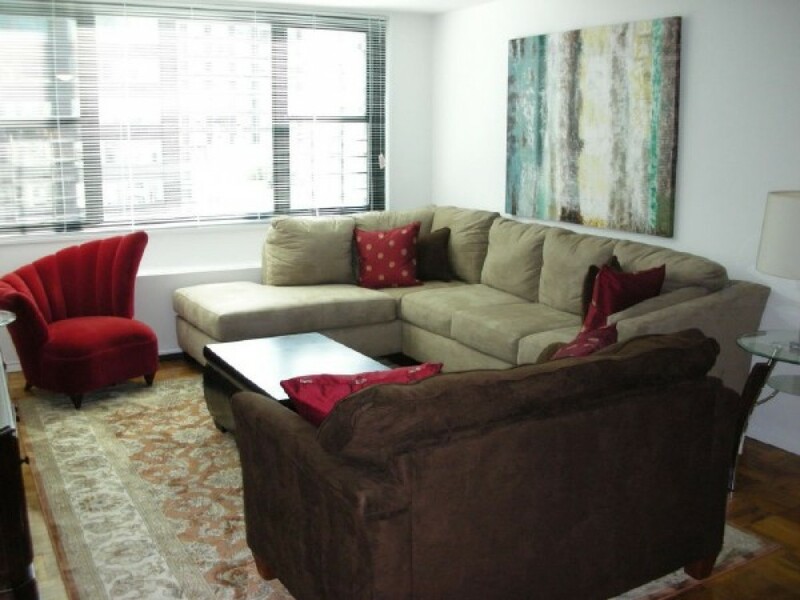 Wide bedrooms and spacious bathrooms are the key features of this Manhattan Vacation Rentals. This particular splendid apartment has a number of things to offer once you get into it. You will be dazzled by the interior as well as the exterior designs. The vibrant color along with superb amenities is simply brilliant. Facing south, the apartment has 2 bedrooms, 2 bathrooms, a fully equipped kitchen with separate dining area, master bedroom has a king size bed; 2 full beds in 2nd bedroom; 2 sleeper sofas in the living room; flat panel TVs in both bedrooms and living room with cable connection. Wi-Fi, landline phone for local calls, laundry room, iron and ironing board etc. are the additional facilities provided by us. The kitchen of this New York Vacation Rentals can be compared to a five star’s. Many modern and state-of-the-art stainless steel appliances are nicely fitted to this gourmet kitchen to give you a chance to prepare delicious food items. The property is neither conducive for pets nor suitable for smoking. $ 50% deposit required to secure the reservation; balance due 10 days prior to arrival.